Kia is about to officially unveil the Kia Stinger GT. 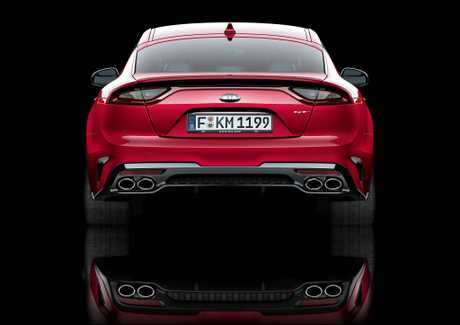 KIA is about to takes the wraps off its gorgeous 272kW rear-wheel drive fastback. 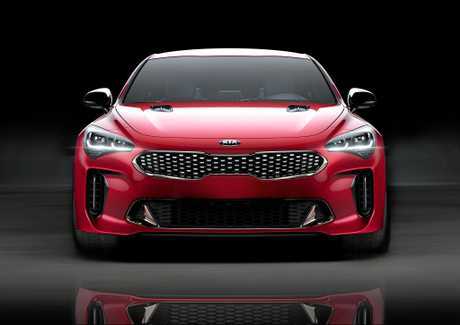 The Kia Stinger GT is about to be released to the automotive press ahead of this week's Detroit Motor Show. Overseas websites have broken an international embargo ahead of the official release this morning. Early images show a fastback design reminiscent of European classics. The interior has a resemblance to what we've come to expect from Mercedes, while the exterior blends muscle with elegance. Without badges you'd draw comparisons to Aston Martin, BMW and Audi. Under the sleek skin is a 3.3-litre twin-turbo V6 which can haul the Stinger from standstill to 100kmh in 5.1 seconds. 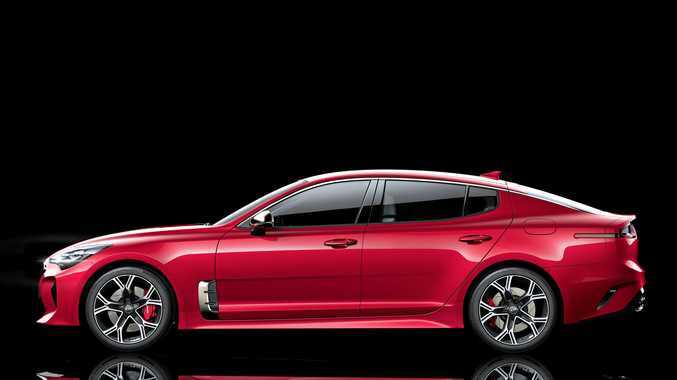 Set to enter the large car realm later in 2017 is the Kia Stinger GT.